A day out in springtime. Just about a one hour drive from Cardigan is the coastal/estuary village of Llanstephan. 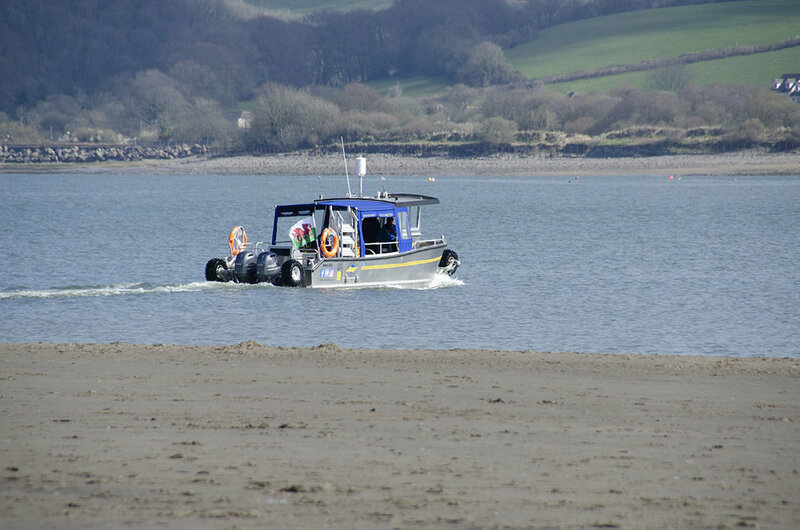 With a ferry crossing in a small modern boat with wheels, a wonderful ruin of a castle and the amazing expanse of beach (when the tide is out) . The sun shone all day and we had a fun day exploring a little of the area. The beach is soft and with a smattering of jellyfish, shells and other tiny creatures. The Walk up to the castle is a little tough but worth the trip, the views on a good day are fantastic and you can imagine how it was defended from invaders. Two, dog friendly, pubs and a very interesting church as well as a good collection of Victorian houses large and small. The car park by the beach is free and there looks to be a few kiosks for the summer trade in ice cream and snacks. public toilets too and a kids play area.